Chick-fil-A franchise owner Michael Gonzales will open the first of two drive-thru-only Chick-fil-A restaurants in the San Diego area in National City on Thursday. The restaurant at 400 Mile of Cars Way will have two drive-thru lanes, three walk-up ordering windows and outdoor seating for 60. It will be open from 6 a.m. to 10 p.m. Monday through Saturday. “What I love about Chick-fil-A is we are a people company disguised as a restaurant, and I couldn’t be happier to bring the brand to the people of National City,” said Gonzales. 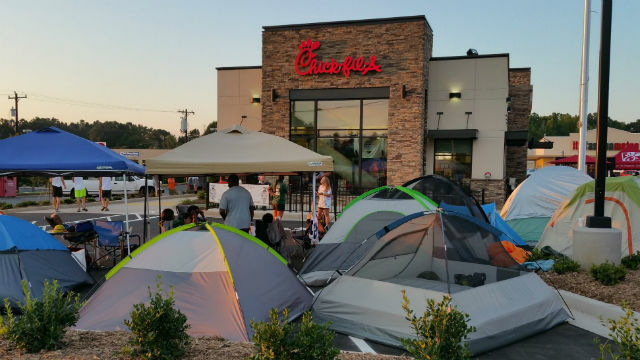 The first 100 people to order meals at the new restaurant will win Chick-fil-A meals for a year in a store-opening tradition that goes back 14 years. A second drive-thru-only Chick-fil-A is set to open in Clairemont later in the month. The new restaurants will be the brand’s 13th and 14th in the San Diego area.